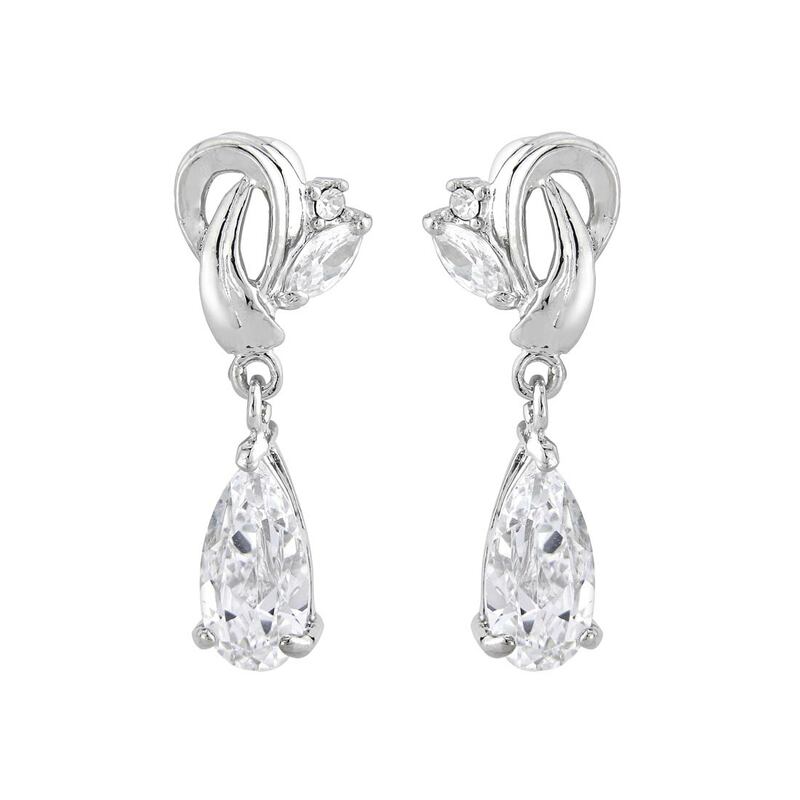 Unleash your inner 1940s Starlet with these chic, delicately sparkling drop earrings. Dancing with delicate sparkle, our Silver Screen Darling Earrings are perfect if you adore a subtle drop design. A silver tone knot stud embellished with a sparkling marquise cut clear crystal and petite crystal stone, holds a shimmering single pear cut crystal drop to capture the elegance of precious diamond earrings from the iconic Silver Screen era. Certain to spend very little time in your jewellery box, these drop earrings look effortlessly stylish for a dinner date and glamorous for an evening occasion. Divine wedding earrings for the bride who adores 1940s Hollywood gems and treasures with elusive style, coordinate with a bejewelled bridal hair comb placed in a side chignon and unleash your inner Starlet on your special day.